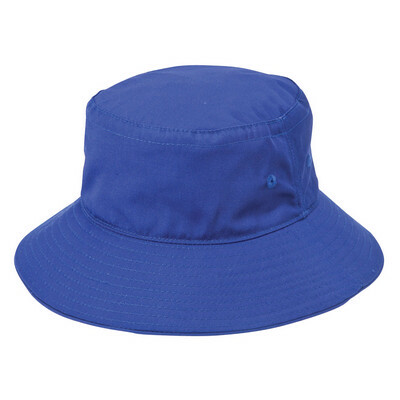 Smart and durable, the bucket hat suits all school occasions. Product Features: 65% polyester/35% viscose | Fully lined crown | 6.5cm brim (Cancer Council recomm. 6cm) | UPF rating 50+ Excellent Protection" | Embroidered eyelets | Fade resistant | Black elastic sweatband | Meets Australian Standards AS/NZS 4399. Colours Available: Maroon. Decoration Options Available: Embroidery | Supacolour | Screen Print. Decoration Areas: Embroidery Area, Centre Front: 55mm h x 150mm w, Centre Back: 55mm h x 150mm w | Supacolour / Print Area, Centre Back: 45mm h x 80mm w, Centre Front: 45mm h x 80mm w.